We are a local family business (not a franchise) with a wealth of knowledge in artificial grass and the correct installation methods. I first got involved with artificial grass (or ‘AstroTurf’ as it’s known in America) when I worked in the U.S.A in 1994. 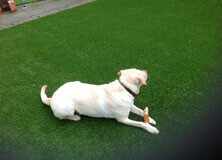 Since then artificial grass (and installation methods) have come on leaps and bounds. Now you can have a brand new artificial lawn that looks and feels realistic, and will totally transform your garden to look amazing 365 days of the year. It's child, pet and environmentally friendly....and there’s no more mud or patchy grass and it’s such low maintenance you will be the envy of your neighbours…if they haven’t had it installed already! We give training on artificial grass and the correct installation methods to landscapers who wish to add this on to their current services so you get a feel that we are leading experts in our specialised field. We are also that confident in our ability to not only deliver outstanding results, but also provide you with great customer service that we guarantee all our installation work 100%...this means there is no risk to you what so ever of poor workmanship. We are also members of Which and Herts County Council, TrustaTrader, CheckaTrader, the HTA and APL (Association of Professional Landscapers- and from what we have been told there are only a handful of purely artificial grass companies in the UK who have this accreditation, and we are the first in Hertfordshire!) What's more, we are backed by the Government 'Trust Mark' scheme so these leading bodies require strict conformity and guidelines, all of which protect the customer better. If you are a school and are looking for our artificial grass services then you will be pleased to know we are also members of EdFirst- check out our 'Schools' page on our website! 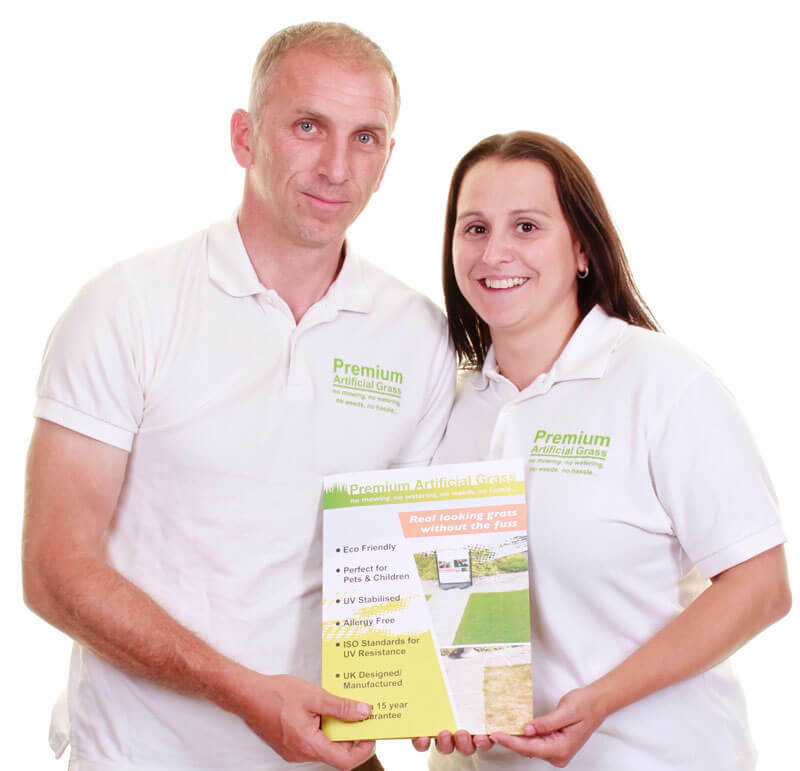 Our pack (please ask and we will send you one) is designed to provide enough information to any prospective customer about artificial grass and installation methods so they can make an informed decision on the process. We visit jobs where customers have had artificial grass laid by other companies who are not competent and have used incorrect installation methods (you would not believe some things we have seen when we have pulled the artificial grass back for inspection)! Or have been called out as the artificial grass they have bought elsewhere is of a substandard nature and has not lasted even a year. It's difficult seeing any customer who has parted with their hard earned money realise that what they have bought needs ripping up and replacing. We don’t just say ‘ we are the best’ but back this up with our 100% Guarantee Certificate!. We do exactly what we say for the price quoted. No hidden extras or nasty surprises to worry about…just the confidence in us to deliver everything we say we will.